Eco-efficiency and digitalisation in the shipping industry in the Baltic Sea region will be at the focal point in a seminar organised by ECOPRODIGI project on 20 November 2018 in Copenhagen, Denmark. This autumn ECOPRODIGI project consortium has been working for more eco-efficient and digitalised shipping sector in the Baltic Sea region for a year. 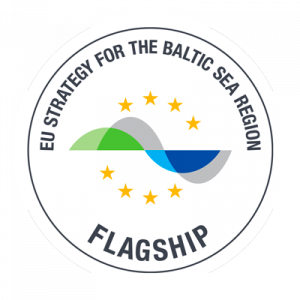 The seminar titled “Heading towards digital and eco-efficient shipping in the Baltic Sea region” will present the objectives and first findings of the project. In addition, the two key themes of the project, digitalisation and eco-efficiency, will be featured in two interesting keynote speeches as well as in two panel discussions. As a confirmed keynote CEO Lars Jensen from Seaintelligence Consulting will touch upon the requirements for the shipping industry for succeeding in digital transition. The seminar will bring together academic researchers, industry end-users and policy-makers, who all have a crucial role in shaping the future of shipping in the Baltic Sea region. The programme for the one-day event will be published and registration will open in September 2018. Follow the news about the seminar at ECOPRODIGI website and Twitter, @ECOPRODIGI_BSR!